A low priced alternative are pumps in block construction. These pumps are directly flanged to the drive. Due to saving of bearing pedestal, elastic coupling and if necessary also base plate briefer mounting forms and cheaper versions can be realised. 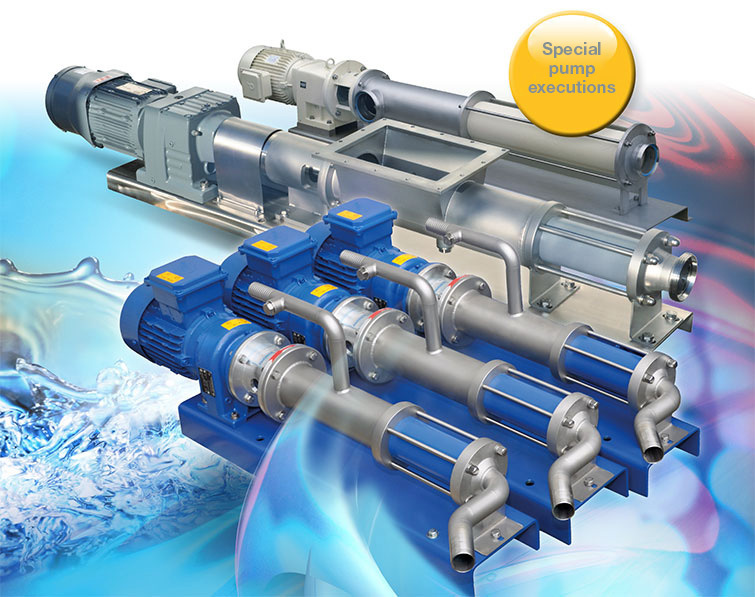 Based on the usual types we can quote many special pump versions. 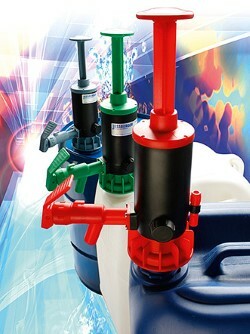 Especially for industry that converts fruits or the viniculture we can deliver pumps with hopper housing and feed screw. For more industries e.g. 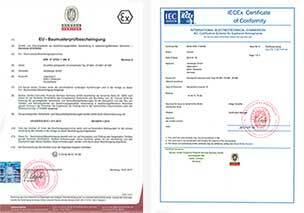 the garment industry, corresponding pump adaptations can be produced.